Today, drug testing is much more common than it once was. There are plenty of reasons why you may be required to take a drug test. New Employment: It is not uncommon companies to require new employees to take a drug test. Most employers want to be sure that they aren’t hiring someone who is addicted to drugs. If a person is suffering from an addiction, their work can suffer and absenteeism is often a problem. Also, when employers have their new hires drug tested, it can lower the cost of their worker’s compensation insurance premiums. On the Job Accidents: If you are involved in an accident while on the job, there is a chance that you will be asked to take a drug test. This is because the company needs to make sure that your accident was not drug-related. This is often something required by the employer’s worker’s compensation insurance company. lFamily Court Issues: If a couple is in a dispute over the custody of their children, a drug test might be in order. If one parent suspects the other of drug use, they will request a drug test. Oftentimes, the results of the drug test can mean the difference between a parent keeping custody of the child or the other parent taking custody. 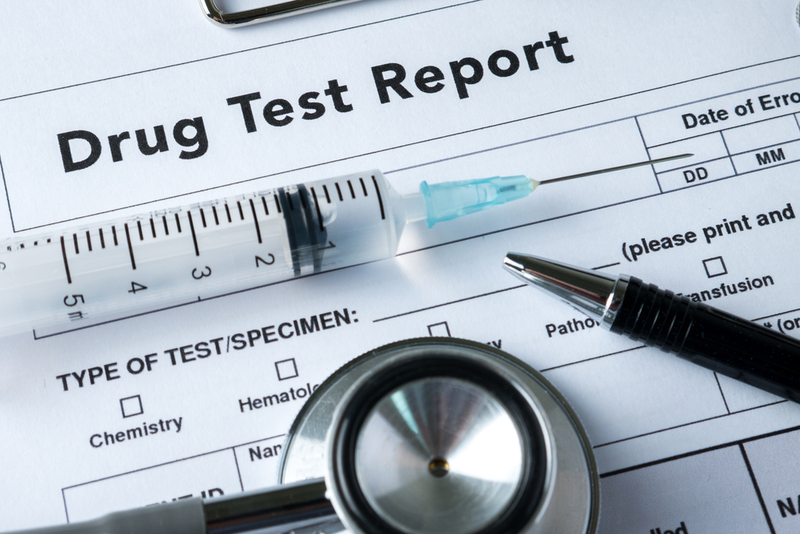 Legal Issues: If you are arrested for a drug-related issue, there is a chance that the court would require you to take a drug test as part of your deal to stay out of jail. If you were to fail the test, there is a chance that you would be sent to jail. Passing a drug test can be imperative to your freedom. Family Requested: If a parent believes that their child may be using drugs, they might send the child for a drug test. Some parents will schedule an appointment with a drug testing facility while others will use an over the counter test that can be purchased at your local pharmacy.Regardless of the reason that you need to be clearing a drug test, it is important that you pass. If you don’t, you could lose your dream job, you could lose custody or visitation of your children, and you can even go to jail. Fortunately, there are a few ways that you can pass a drug test. There are a few types of drug tests. The most common type of test is a urine test. This is the most commonly used because it is the least expensive. Since drug tests are often paid for by your employer or by the state, the least expensive method is often used. The two other types of drug tests that are given but not as often are blood testing and hair follicle testing. If you are hoping to pass your drug test, it is important that you find out the type of test that you will be taking so that you can take the right steps to ensure that you pass. Since a urine test is the least expensive type of drug test, it is the most commonly used. If you are ordered to take a urine test, you would need to arrive at the testing facility with photo identification at the time of your appointment. If you are responsible for paying for your own test, you would need to bring the money with you on the day of the test. Urine screenings cost an average of $30 to $40. In most cases, a technician will stand right outside the door while you take the test to make sure that you are using your own urine. After you give your sample, you would leave and wait for the results. If you are going to be taking a urine drug test, there are a few steps that you should take to ensure that you pass. It is important to understand that most of these methods aren’t 100 percent fool-proof, however, it is possible to get a negative reading if you use one or more of the methods listed below. The best way to ensure that you will pass a drug test is to stop using drugs before you take the test. If you are planning to apply for your dream job, it is important that you stop using drugs before you begin the interview process. The same is true if you have an upcoming custody battle. Unfortunately, if you are taking a drug test after you have an accident on the job or for a legal matter, you might not have the time to stop using before the test. If you are planning to stop using drugs before your drug test, you should know how long different types of drugs stay in your system. The amount of time a drug stays in your system is just a guide. Everyone’s body is different. The amount of time would depend on the potency of the drugs that you have been using, your tolerance to the drugs, how much you have used, and the speed of your metabolism. On average, marijuana stays in your system for 7 to 30 days. If you have time to get the drugs out of your system before the test, it is the best way to ensure a negative result. If not, there are a few methods that can help you pass. There are plenty of products on the market that claim to rid your system of drugs before you take a drug test. These products can be bought either online or at a health food store. If you are thinking about using one of these products, make sure that you read the directions carefully. Many of these products take a certain amount of time to take effect. They also only last for a certain period of time. You should use the instructions to properly time when you should take the detox drink so that it will have taken effect but it won’t have worn off. You should understand that these products don’t guarantee results. Therefore, you should take a dose of the drink and then take a home drug test to be sure that it is going to work. Flushing your system with water can be an effective way to pass a drug test. If you just used the day before, there is a chance that this method won’t work. It is most effective if you are on the cusp of the drugs leaving your system. The day before your test, you should start drinking water. You should drink a few 8-ounce glasses of water the day before and an 8-ounce glass of water on the day of your test. You should be sure not to drink too much water as it can be dangerous to your health. Also, the technicians who work at the testing facilities are trained to spot urine that has been watered down. If you want to keep this from happening, you should take a few B-6 vitamins or B-12 vitamins. These vitamins will darken your urine so that the tech won’t see that you have flushed your system. Another great way to flush your system is through exercise. When you exercise, you sweat. This will force the drugs out of your system. If you are willing to take the chance, you can use a urine substitute. If you have a friend or a family member who is clean and are willing to give you their urine, it is a good way to pass. When asking people for their urine, you should be very careful. If you ask someone who is pregnant or who has a medical condition, there is a chance that it will show up on the test. Be sure to find someone who is clean and about the same age as you. If you are going to use a urine substitute, you should understand that the tech is trained to detect the temperature of the urine. If it is too cold or too warm, it will raise a red flag. The urine that you use would need to be at body temperature. If you keep the specimen close to your body until the test, you should be able to keep it at room temperature. When it is time to take the test, don’t forget that the tech will be right outside the door. If they hear plastic tearing, they could fail you on the spot. It is important that you understand all of the risks involved before asking a friend or family member for a specimen. If you don’t know anyone who would be willing to give you a clean urine sample, you can purchase synthetic urine online. It is important to understand that this method is not fool-proof. There are some tests today that can detect synthetic urine. Also, giving the sample and keeping it warm can also be tricky. Diuretics are designed to lose excess water by going to the bathroom. If you start taking diuretics a few days before your drug test, you can flush your system. If you are planning to use diuretics, you should be sure to follow the directions to the letter. If you take too many, it can cause health issues. Also, overusing certain brands of diuretics can turn your urine blue. This will be a red flag and there is a good chance that the tech will automatically fail you. The timing method is not something that can usually be used alone. It is best to use this method with another one of the methods listed above. The timing method is relatively simple. The urine that you produce when you first wake up will be the dirtiest. This is because it has been sitting in your bladder all night. You should try to go to the bathroom at least twice before going in for your drug test. When you take your test, you should pee in the toilet for a second before catching your specimen. This will get some of the dirty urine out so that you produce a cleaner sample. Whether you are planning to use a friend’s urine, synthetic urine, diuretics, or a detox drink, you should first take a home drug test. The same is true if you quit using before the test. If you can pass an over the counter drug test at home, you will have peace of mind that you are going to pass when you take your test at the testing facility. Using one or more of these methods is your best chance of failing a drug test if you have been using marijuana. While quitting is the best method, you may not have enough notice before your test.